Do you want to know how many times your gallery images are shared on social channels? It’s helpful to track images shared on social media, so you can understand your site’s audience and grow your business. In this tutorial, we will share how to track social sharing of your WordPress gallery images. 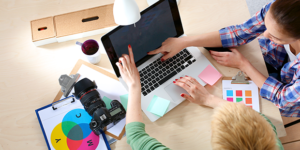 Tracking image sharing is a good step to engage your users on the site with relevant content. It will help you in adding images on your site that are most liked by your visitors. 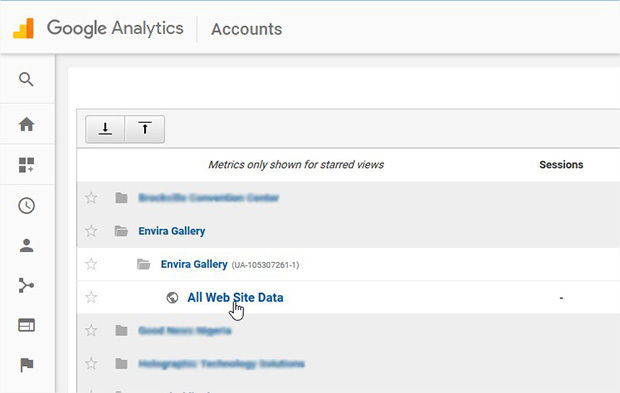 The first thing that you need to do before you track social sharing is to install and activate Envira Gallery plugin. To learn about the plugin installation, you should check out this guide on how to install Envira in WordPress. Upon activating the plugin, you should go to Envira Gallery » Add New from your WordPress admin backend. Simply add a title and drop your photos in the Native Envira Gallery section. For more image gallery settings, you should check out this guide on how to create a WordPress gallery with thumbnails. 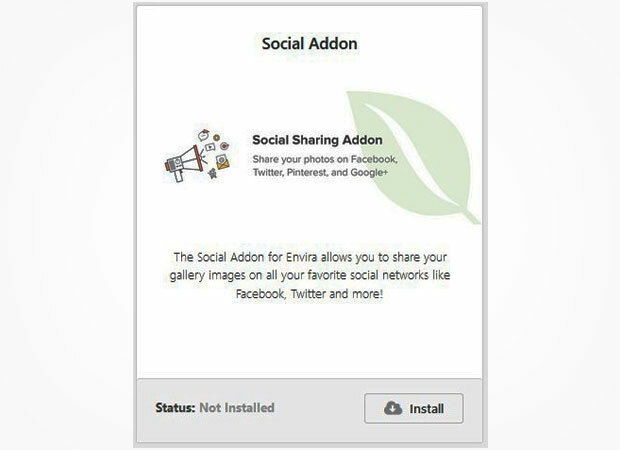 Now go to Envira Gallery » Addons to install and activate Social addon. To access this addon, you must have Envira Pro or Ultimate license. Check out how to how to upgrade your license in Envira Gallery. This addon will allow your users to share the gallery images on social media sites like Facebook, Twitter and more. For more details, you should check out this guide on how to allow users to share your gallery images. Next you need to install and activate MonsterInsights plugin on your WordPress admin backend. This plugin will help you to easily set up Google Analytics in WordPress to track social sharing. You can also track your WordPress gallery image download analytics. After activating the plugin, you need to set up Google Analytis on your WordPress site. 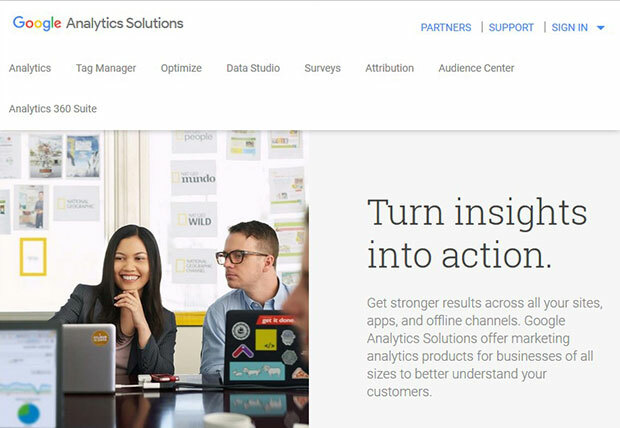 We recommend you to follow this step by step guide on how to setup Google Analytics in WordPress. Once the set up is complete, you can track social sharing of your gallery images. You should leave this set up for two to three days, so your users can share the gallery images, and you can find the data in Google Analytics. 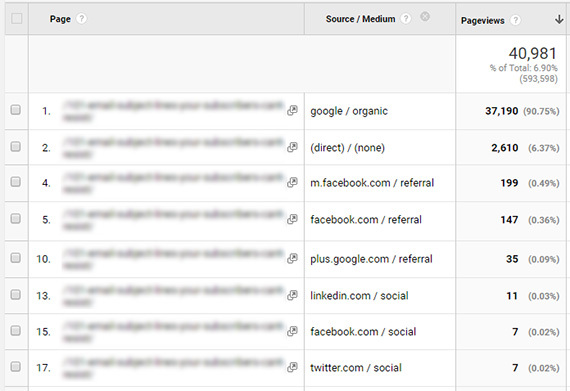 To track the social sharing data, simply login to your Google Analytics account and go to your WordPress site. 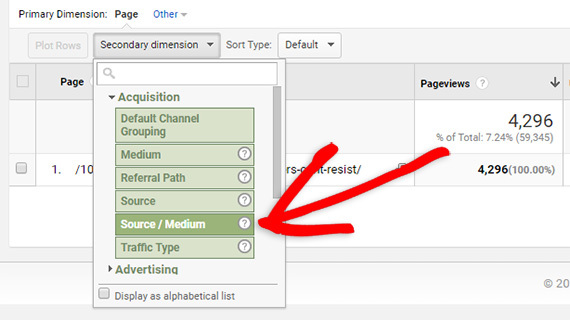 In the main menu on the left side, click on Behavior » Site Content » All Pages. Then search for the page your gallery is on. To find out how much of this traffic is coming from social media, you can click on the Secondary Dimension button and then select Acquisition » Source / Medium. Now you can see how many visits came from each social platform. We hope this tutorial has helped you to learn how to track social sharing of your WordPress gallery images. For more about tracking your social media analytics, see this guide on how to analyze social media traffic with Google Analytics. You may also want to check out our guide on how to supersize your image gallery in WordPress. In case, your users exit from the site without converting, you should check out this OptinMonster’s powerful exit-intent technology to convert your abandoning visitors into subscribers and customers.